Do You Love Dolphins Like I Do? We Went Dolphin Watching – Check Out Our Experience! Hey beauties! So a few weeks ago an idea popped in my head to go dolphin/whale watching. One of my closest friends Carrie, & her family, was on board to come with my family. We found a place out of Belmar, NJ that takes you out for 3 hours & you can potentially see dolphins, whales, sharks, turtles, & stingrays. We picked a date & booked our day trip, & yesterday the day finally came. We had to wake up bright & early to board the boat by 8:30, for a 9:00 departure (if anyone knows my kids, they like to sleep veryyyyyyy late). BUT, we made it on time, even though we were all pretty tired (more on that to come). The girls are wearing these adorable Best Friends dresses (from last year, which means this year they are shirts), that I purchased from Ali Express. Once we got on the boat, we strapped all the girls in life vests, & set sail! & My younger daughter proceeded to pass out, FOR THE ENTIRE BOAT RIDE! Picture a boat being like a car ride, x1000 for kids. Between the motor, the salt air, & waking up super early, she really didn’t stand a chance. But the whole ride? 3+ hours knocked OUT! As the boat went further out, closer to Sea Girt, we saw DOLPHINS! Of all the things we could have seen, dolphins would have been my top pick! The pod of dolphins we saw followed us, & swam next to us the entire time. It was simply amazing! It was so beautiful to watching these amazing creatures, swim together as a family. We saw baby dolphins too & it just melted me! Unfortunately, it didn’t take long for my older daughter to pass out too! Her BFF that was with us also passed out. At one point we looked around to see these 3 sleeping children & just laughed! We really, really enjoyed our time on the boat & having this beautiful experience. I hope to do it again, & see some whales next time! I wouldn’t mind seeing sharks too but I am deathly afraid of sharks & if we saw a Great White, I just may faint. After the boat ride, we went to lunch at The Buttered Biscuit in Bradley Beach, NJ. If you are local to this area, I highly suggest you check it out. It is one of my favorite local brunch spots! A lot of my friends were digging my lip color yesterday. It was a Nordy Anniversary Sale purchase from Nars. I had already posted the link in an earlier post, but I will repost in case anyone wants to buy! 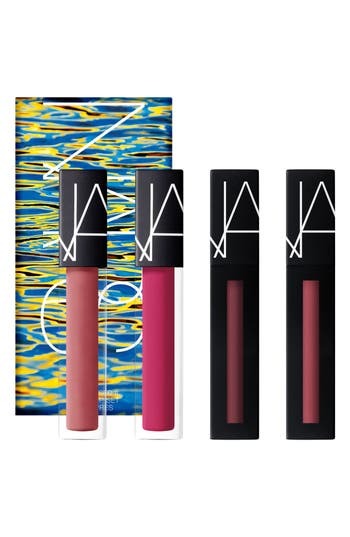 Nars Undressed Liquid Lip Set Ii – (I am wearing the color Haze from the set). 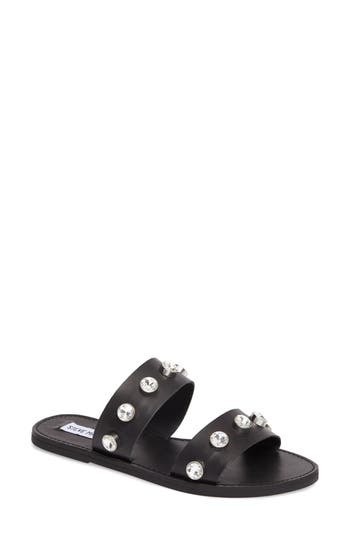 My sandals are from Nordstrom too (not from the sale). I just recently purchased them in black & tan (I couldn’t resist purchasing both colors, I just loved them too much). And my top was one my faves from Amazon! Some may be able to wear this as a dress, for me it is for sure a tunic! How did you spend your weekend? Have you ever gone whale or dolphin watching? I would love to hear about your experience! Love this! Too many of us strive for perfection – we create this image in our minds of the perfect outing. Love how Jenna & gang went with the flow with humor & grace. Of course, the little ones fell asleep & missed the dolphins; but there are plenty of pictures & happy memories with the relaxed & refreshed mommies. Somewhere in the little one’s psyche will be imprinted a memory of this wonderful day, whether a smell of sea air or a feel of ocean spray. More importantly, relaxed & happy moms basking in the joy of this wonderful excursion will be glowing for days end (or at least until the next crisis)! Kudos, Jenna for sharing this great blog! Thank you so much! It was a great memory & a great day! The BEST Tools to Have Cute Summer Tootsies!